GENIUS PRO 120R +T Wifi ESC From Graupner « Big Squid RC – RC Car and Truck News, Reviews, Videos, and More! The folks over at Graupner are serious about their speed controllers. 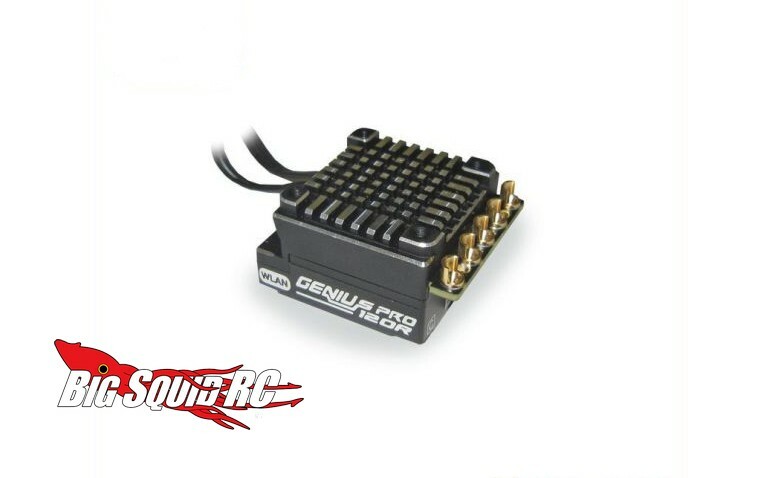 Their latest ESC is the Genius Pro 120R +T. What is the big deal? Well, first off, it is WiFi capable, something that can help make it super easy to use. It also sports real-time telemetry for you drivers that want all the data you can get. The 120R +T also has a compact design for tight installs and has a robust aluminum case. Pricing for the ESC is $122 and it has a part number of #S3086. Full details can be found After The Jump over to Graupner’s website, or you can Hit This Link for more Graupner news on BigSquidRC.